As I mentioned before, I do love a good Moroccan riad, so after experiencing a modern version in Essaouira, it was time to get traditional in Marrakech. The only problem was picking which one – the city’s medina has something like 1000 different riads scattered across it. 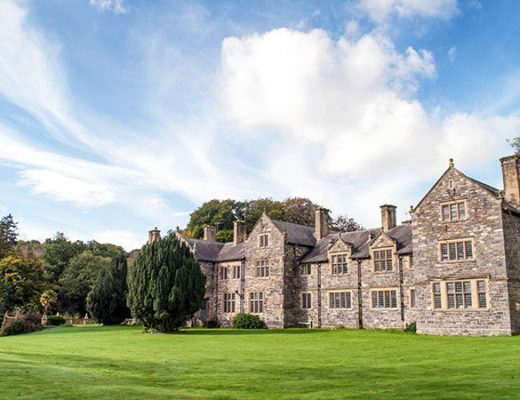 So I took some advice from one of my favourite accommodation websites – i-escape.The site features a select group of places to stay, with really detailed reviews and lots of photos to help you decide. And it was there I came across Riad Capaldi, a restored traditional riad on the edge of the souks with panoramic roof terrace views. The owners run a seriously swanky hotel at the base of the Atlas Mountains so we were hoping for a bit of that luxury feel, along with a central Marrakech location and a slightly lower price tag. So how did Riad Capaldi fare? 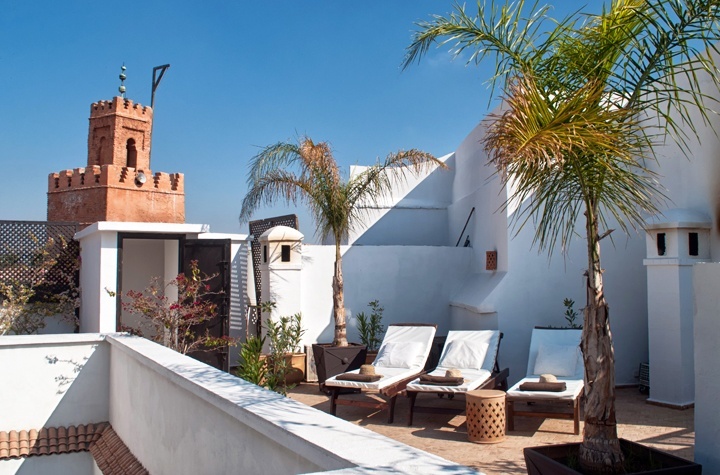 Riad Capaldi is located in the north of Marrakech’s medina, close to the Marrakech Museum and the Maison de la Photographie. It’s right on the edge of the souks and about ten minutes’ walk to the Djemma El-Fna, so it’s perfectly located to explore the medina and it’s easy to pop back to drop off your shopping or catch your breath away from the chaos. As with most riads, it’s hidden away down a tiny alleyway, so you can’t get to the door by car. Our taxi dropped us off at nearby Place Moukef where we were met by staff from the riad who led the way and transported our luggage for us. The Marrakech medina is a complete maze so expect to get lost – the staff gave us a few pointers on the first morning and they can also arrange for you to be walked to and from local restaurants if you don’t want to risk navigating at night. 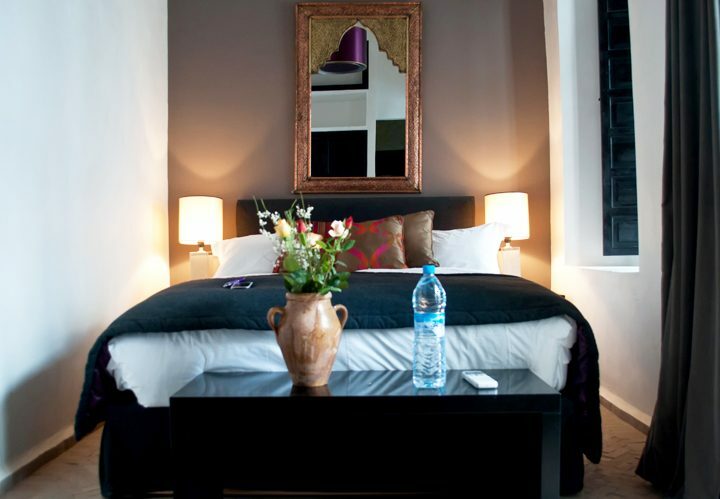 The riad has six rooms and one suite, all located on the building’s first floor. The rooms vary in size and price – we were in the mid-range Rose room. 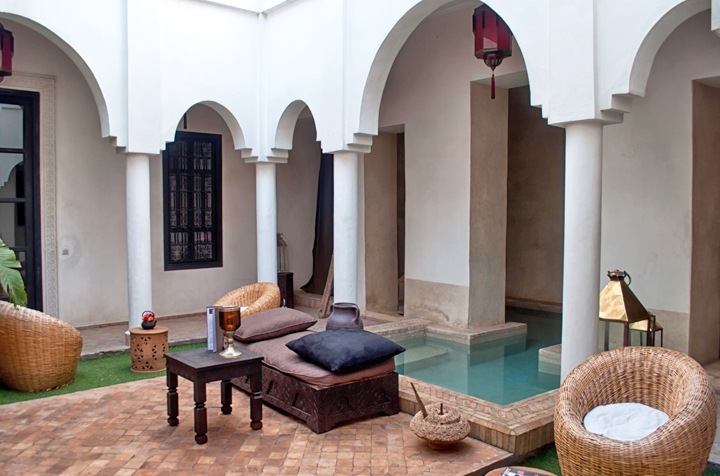 Being a traditional riad, the rooms aren’t huge and tend to be long and thin as they’re built around the courtyard. The room felt very light and airy though, with tall shuttered windows and lots of pale colours. The owner has a design background and you can see it in the carved furniture, silk fabrics and artwork used to decorate the riad. 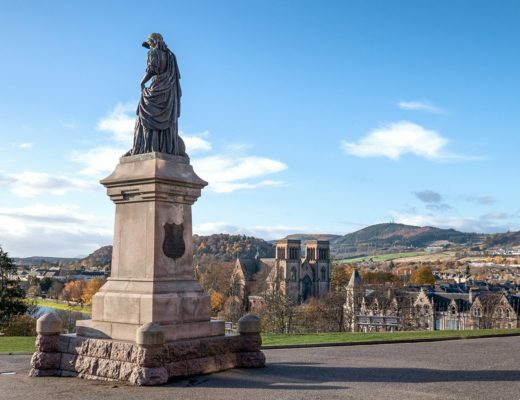 The rooms all come with fresh flowers, bottled water and the bathrooms are stocked with handmade toiletries and Egyptian cotton robes and slippers. Being an old building does come with a few drawbacks though – the antique-style shower head was more decorative then effective and the bathroom’s dark wood and high ceilings made it very dark. Breakfast is included in the room rate, with yogurt and fruit, Moroccan bread and pastries, orange juice and tea or coffee. One morning we also got beghrir, a type of Berber pancake made with semolina which have lots of air bubbles and look a bit like a thin crumpet. The roof terrace is a gorgeous spot for breakfast, though watch out for wasps, who’ve got a bit of a thing for the homemade jams. 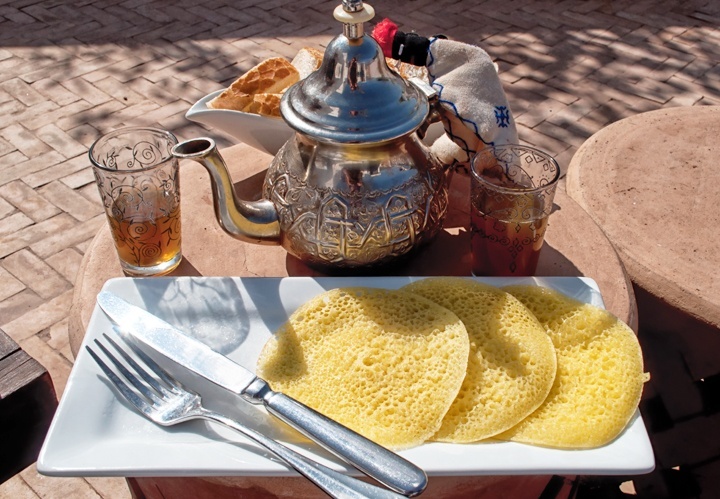 You can also have lunches or dinners cooked for you with a few hours’ notice and the riad serves wines and beer. We had a beef tagine with prunes and almonds by the fire in the dining room one night – a three-course dinner cost 200 MAD (£15) each. 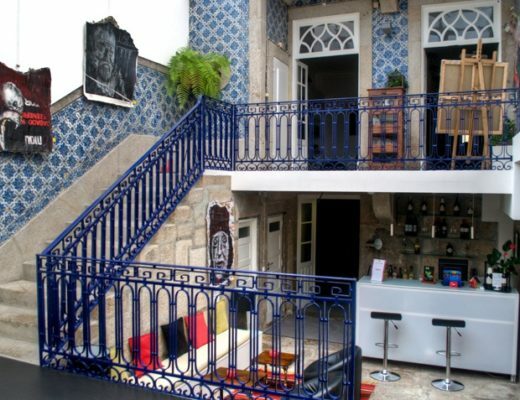 There’s also a good selection of places to eat nearby, like the café on the roof terrace of the Maison de la Photographie for a lunchtime tagine or Le Foundouk for a romantic dinner. The riad has a lot of space, and with only 14 people at most staying there it’s easy to find a spot to yourself. Down on the ground floor there’s a couryard with a dip pool – it’s shaded for most of the day so was a bit too chilly in March when we visited, but would be lovely on a hot summer’s day. There’s also a small library, lounge and dining room on the ground floor, each with an open fire you can have lit on a cool evening. The communal areas have wifi but it doesn’t stretch to the rooms. Higher up there’s a huge roof terrace, separated off into different seating areas, some shaded and some with loungers to make the most of the sun. There are towels and sun hats laid out for you to use. 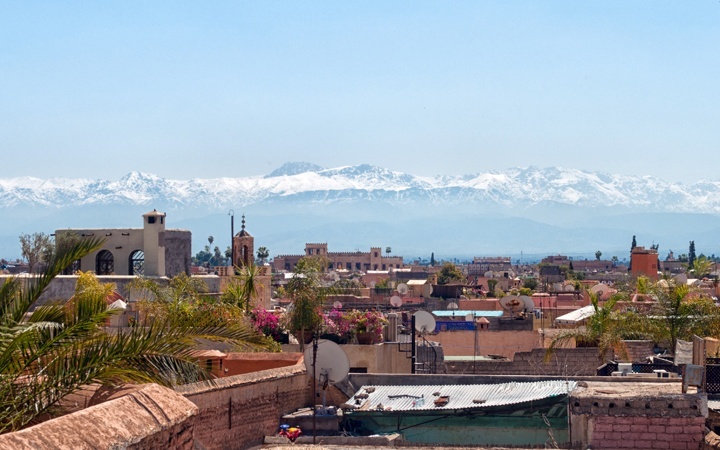 The terrace has views across to the Atlas Mountains on a clear day and is a great spot to watch the sun set over the medina. Guests are… a big group of Russian ladies on a girls’ holiday while we were there, but more usually (and a bit quieter) European couples. Staff are… new manager Aidan was in his first week on the job so still learning the ropes but was very enthusiastic and friendly. Don’t forget… ear plugs if you’re a light sleeper – the riad is right next to a mosque so you might get woken up by the call to prayer. 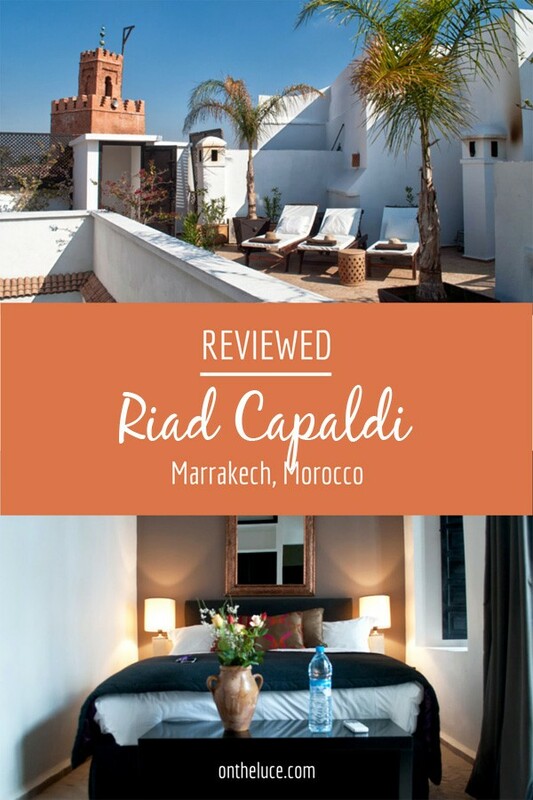 Rooms at Riad Capaldi cost €105–€165 a night during low season or €120–€185 during high season (March to May, Sept to mid-Nov and around Christmas), which includes breakfast. There is also the Domed Suite with its own lounge and area of the roof terrace for €205/€235 a night. OMG it looks sooo beautiful! Take me there now!!! It’s grey and dreary here in the UK today so I’m wishing I was back there too! Hi Lucy! Thanks for sharing. It is really helpful. Hope it comes in useful – and any Morocco questions just give me a shout! Came home from Marrakech just short of a month and I already long back and regret not getting to do some shopping. 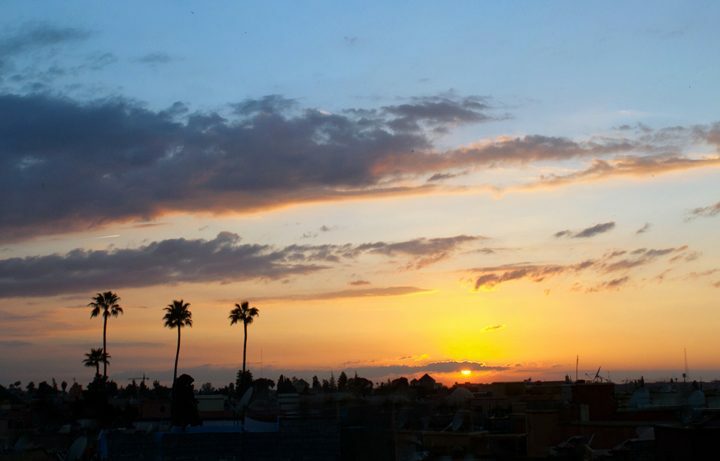 I love Marrakech and would love to be able to stay in a Riad some day. I love the style of the riads, you can be right in the medina but once you step through the door it’s so peaceful. 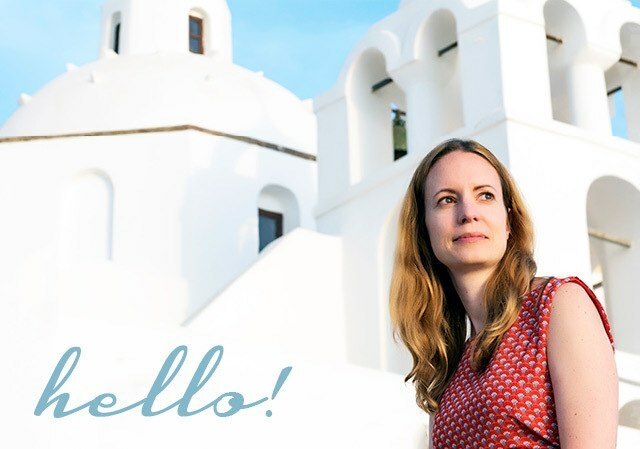 Glad you enjoyed your Morocco travels too! Out of world, but very much within reach. Great Pics. These are beautiful pics! The place looks amazing! It was lovely – a real oasis in amongst all the madness of the souks! Morocco has given you some good fodder Lucy. It is a place I have yet to travel but the more I read about it on blogs like this the more I would like to get there. Thanks. 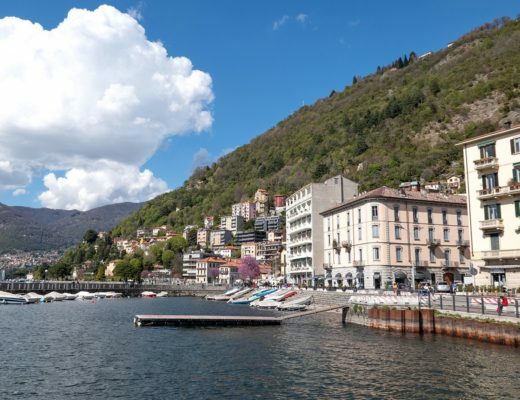 It certainly has – there’s so much to see and experience out there. Final post later this week then I’m going to be posting about places a bit closer to home for a while! A really great blog Lucy. 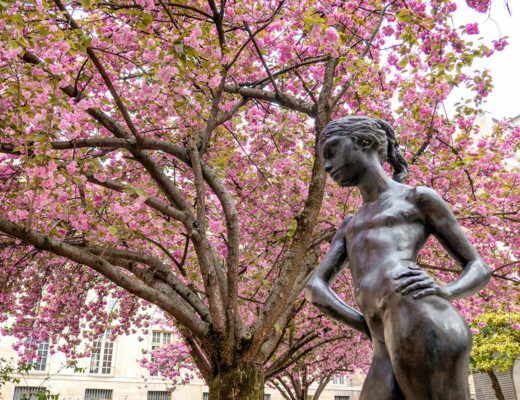 How do you find time to travel so much? Thanks. I work for myself so I don’t have any limits on annual leave, so when I’m not travelling I’m usually working all hours to make up for it! Luckily my work (as a freelance editor/designer) is quite portable so I can sometimes travel and work at the same time too which helps. 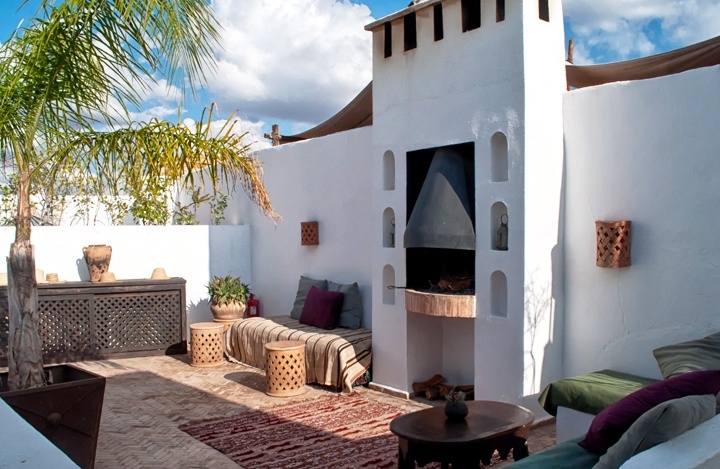 Love the look of this riad – especially that gorgeous roof terrace with the fire. The roof terrace was fantastic – huge and lots of different sections so you could sunbathe or sit under the shaded roof when it got too hot, then by the fire in the evening (yes I did spend most of a day up there!). It looks wonderful. I have heard of – i-escape and was even thinking of using them to get a villa in Goa but we decided to go to Indonesia instead. 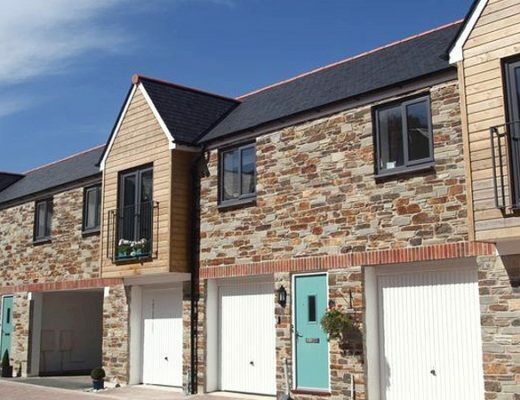 I reserved a house! Hi Aidan, you’re very welcome! We had a really great stay – such a lovely oasis of calm in the midst of the medina. Excellent news that the hairdryers have entered the modern age now too! Morocco is a fantastic place – and I do love a good riad, so nice to hide away from the madness of the medina in a peaceful spot.